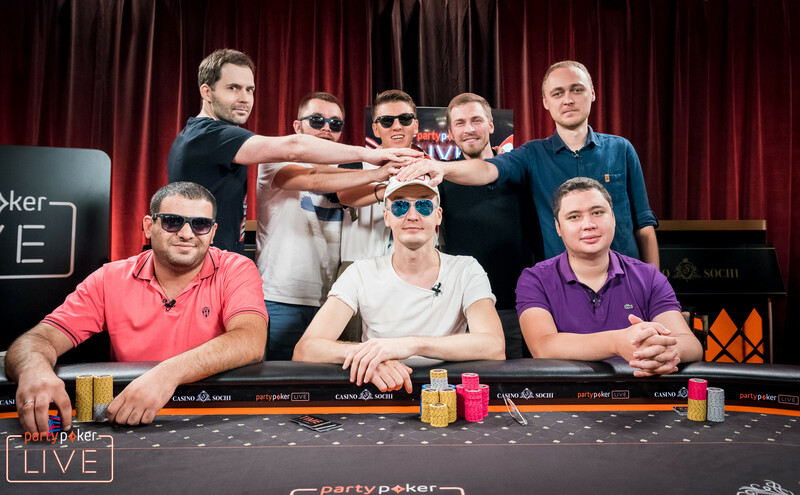 Only 11 players out of a 916-strong field returned for the final day of the 2018 partypoker LIVE MILLIONS Russia RUB318,000 (~$4,700) Main Event and determined their champion at the stunning Sochi Casino and Resort. Ultimately, it was partypoker ambassador Anatoly Filatov who lifted the trophy only a few days after his birthday. Filatov defeated countryman Gor Kazaryan on home soil and scored his best result on the live circuit to date, RUB60 million (~$887,000). "Very tired, very exhausted, I don't realize yet that I won this tournament, especially in my home country," an overwhelmed Filatov said. "On the eighth of August it was my birthday, 30 years old, such a good beginning for this year. I am very glad." 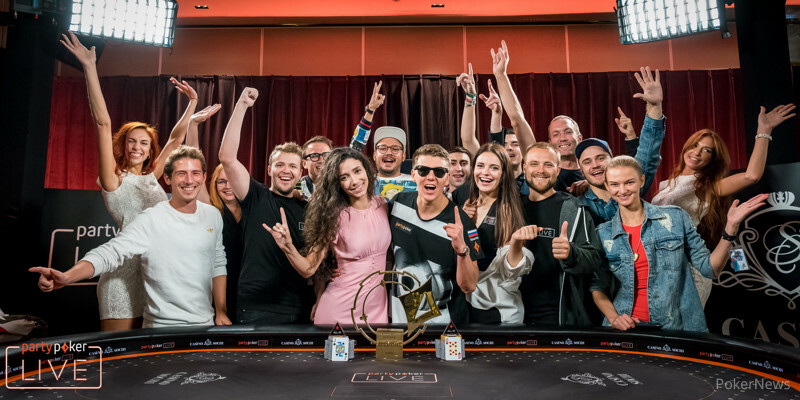 Prior to the biggest poker festival of the year on Russian soil, Filatov already had more than $2.1 million in cashes to his name including two victories in events of his sponsor, partypoker. 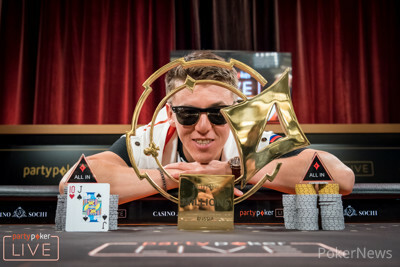 He also came close to another trophy at the 2017 Caribbean Poker Party, finishing second in the $5,300 Finale for $165,000 before adding an 11th place in the partypoker MILLIONS Grand Final Barcelona €10,300 High Roller (€50,000) and seventh place in the partypoker MILLIONS North America C$10,300 Finale (C$60,000) to his poker resume in the current year. Just one week ago, Filatov talked about how much a victory in this very event would mean to him in a podcast and that is exactly what he has now done. It wasn't an easy ride on the final day, however, as he faced some tough competition in Konstantin Uspenskii, Gleb Tremzin, Viktor Khodorenko and eventual runner-up Kazaryan. Late on Day 4 when only three tables remained, Filatov was among the shortest stacks with nine big blinds and doubled with queen-jack against the pocket aces of Uspenskii. Only 11 players returned to their seat and it would take half an hour to determine the unofficial final table of the last nine. Ekaterina Fedyaeva held the shortest stack among the finalists and raised out of the small blind with jack-ten suited. Viktor Khodorenko moved all in from the big blind with ace-eight suited, also of spades, and Fedyaeva called it off to find no help on a king-high board. Next to fall was Aleksandr Chernikov, who was involved in many hands early on and check-shoved a three-way flop with bottom pair and the second-nut flush draw. Again it was Khodorenko who dealt the final blow, having flopped the flush with jack-deuce as button aggressor. The unofficial final table included seven Russians, one Belarusian and Malaysia's Chin Wei Lim, and the latter happened to miss out on the group shot for the official final table of the last eight. Having paid off Khodorenko's full house just prior, Lim four-bet all in with pocket fours and Khodorenko took the flip with ace-jack to spike a jack on the turn and score the third knockout in a row. 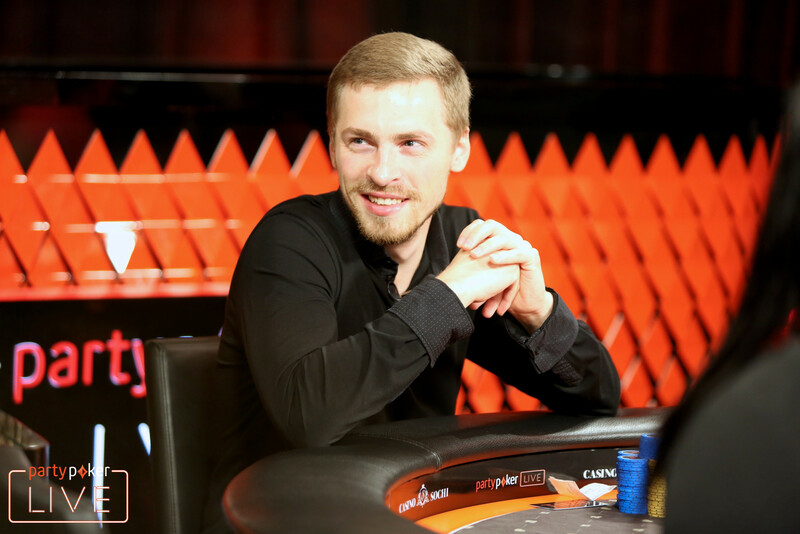 Once the cards got back in the air, the rise of partypoker ambassador Filatov started and he was responsible for the elimination of Uspenskii in 8th place. Khodorenko had raised and Filatov three-bet with king-queen before Uspenskii got his short stack in with ace-king on the button. Filatov called and turned a queen to reduce the field to the final seven. Mikhail Galitskiy entered the final day as one of the bigger stacks but never got much going. Eventually, he three-bet all in with ace-queen and initial raiser Filatov snap-called with pocket kings to hold up on a queen-high board and send the second opponent in a row to the rail. Accomplished poker pro Tremzin never managed to spin up his short stack and secured some pay jumps, but his run came to an end in sixth place. Nearly even-stacked with Andrey Malyshev, Tremzin jammed from early position with pocket fours and Malyshev just called with pocket tens, as did Viktor Khodorenko with pocket eights on the button. Malyshev was also at risk after a queen-high flop and tripled up after a blank on turn and river. Despite doubling through Malyshev in a big flip with pocket nines against ace-queen suited, Alexey Melnikov was the next to fall in 5th place. After losing several pots to drop down to the bottom of the counts, Melnikov got his last 12.5 big blinds in with ace-six and Filatov called with king-jack suited. A queen-ten high flop spelled trouble for Melnikov and the river brought a jack to improve Filatov and reduce the field to the last four. 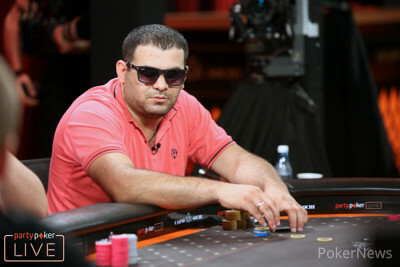 On the way to the official final table, Khodorenko became the dominating chip leader but some of his moves back fired and he ended up as the fourth place finisher. The Belarusian three-bet all in with ace-seven and again it was Filatov who dealt the final blow after four-bet jamming with pocket queens in the big blind. A queen on the turn left Khodorenko drawing dead and Filatov took over the tournament lead for the first time. Down to the last three, it was Malyshev that pulled into the top spot, but one crucial hand changed the final outcome dramatically. Kazaryan three-bet with queen-jack suited and Malyshev four-bet all in with ace-king to see Kazaryan call it off and flop a jack for the biggest pot of the tournament to date. Malyshev never recovered from that and, despite one double up, fell in third place with king-seven against the king-eight of Filatov. Heads-up play lasted for more than 80 minutes and the lead changed several times without any all in showdown. A setup hand then determined the champion when Kazaryan flopped top two pair with queen-nine and Filatov turned the nut straight with jack-ten of hearts. All the chips went into the middle and a blank ace let Filatov and his friends on the rail celebrate. That brings an end to the PokerNews live reporting here in Sochi and the partypoker LIVE MILLIONS circuit is already preparing for the next two upcoming highlights. Satellites for the MILLIONS UK at the Dusk Till Dawn poker club in Nottingham in early October and the Caribbean Poker Party on the Bahamas in November 2018 are already ongoing on partypoker. Hand #258: Gor Kazaryan limped with and Anatoly Filatov raised to 27 million with the , Kazaryan came along to see a flop of . The flop brought and Filatov checked, Kazaryan bet 35 million and Filatov called. After the turn, Filatov turned the nut straight and checked, Kazaryan bet 55 million and Filatov vaulted out of his chair to see the stack of his opponent before moving all in. Now it was Kazaryan that stood up and looked at his opponent before calling it off for 271 million. Kazaryan needed a queen or nine, but the river was the blank on the river. A cold deck in the end finished the heads-up duel in favor of Filatov and Kazaryan had to settle for a payday of RUB39,000,000. Hand #256: Gor Kazaryan limped the and Anatoly Filatov raised to 42 million with the , Kazaryan released his cards. Hand #257: Filatov limped with the and Kazaryan checked with . Both checked the and the turn brought a bet by Kazaryan, Filatov called with the gutshot. On the river, Kazaryan bet 45 million and Filatov folded. Hand #:251 Anatoly Filatov called with on the button, and Gor Kazaryan checked with . The players checked all the way on the flop turn and river with Filatov winning at showdown. Hand #252: Kazaryan called with and Filatov checked with . The flop came down and Filatov check-folded to a bet. Hand #253: Filatov called with , and Kazaryan moved all in with and won the pot. Hand #254: Kazaryan called with and Filatov checked with . The players checked all the way to showdown on the board and split the pot. Hand #255: Filatov called with and folded when Kazaryan raised to 30m with . Hand #246: Gor Kazaryan limped with and Anatoly Filatov checked with . On the flop, Filatov checked to Kazaryan, who bet 15 million and won the pot right there. Hand #247: Filatov now limped with and Kazaryan checked the . Both flopped top pair on and Kazaryan check-called a bet of 12 million. The turn was checked and Kazaryan rivered two pair on the , bet 35 million and was snap-called to pull some chips back. Hand #248: Kazaryan decided to limp with and Filatov checked with . The flop came and both checked. On the turn, Filatov check-raised from 12 million to 25 million and Kazaryan folded. Hand #249: Filatov limped from the button with and Kazaryan raised this time, making it 40 million to go with the . Filatov gave it some thought and folded. Hand #250: Kazaryan limped and Filatov checked with . On the flop, Filatov checked and called a bet of 15 million by Kazaryan. Both checked the turn and the river to see another pot shipped to Filatov. Hand #242: Gor Kazaryan limped with the and Anatoly Filatov raised to 40 million with the . Kazaryan limp-raised to 115 million and Filatov pulled the trigger to move all in, which prompted a fold from Kazaryan and vaulted Filatov into a 2-1 chip lead. Hand #243: Filatov raised to 25 million with and that ended all further action. Hand #244: Kazaryan limped with the and Filatov checked with . On the flop, Filatov checked bottom pair and called a bet of 15 million by Kazaryan. The turn was checked and Filatov's bet of 65 million on the river won the pot uncontested. Hand #245: Filatov limped his and Kazaryan checked the . The flop was checked, Kazaryan check-folded the turn to a bet of 15 million. Hand #237: Anatoly Filatov called with , and Gor Kazaryan checked with . Both players checked on the flop and again on the turn and finally to a showdown on the river with Filatov taking the pot. Hand #238: Kazaryan called with and Filatov checked with . They both checked on the flop and on the turn Filatov check-folded to a bet. Hand #239: Filatov picked up and raised to 25m, and Kazaryan called with . The flop came down , and Kazaryan folded to a 20m bet. Hand 240: Kazaryan raised with to 25m and Filatov called with . They both checked on the flop and on the turn, Filatov called a 25m bet, and after they both checked on the river, Filatov won the pot. Hand #241: Filatov called with and Kazaryan checked with . On the flop Kazaryan instantly mucked. Hand #232: Gor Kazaryan limped with and Anatoly Filatov checked with the . On the flop both players checked and Filatov also checked the turn, Kazaryan bet 15 million and Filatov folded. Hand #233: Filatov limped with the and folded to Kazaryan's raise to 25 million with . Hand #234: A walk for Filatov with the . Hand #235: Filatov limped with and Kazaryan checked his option with the . They checked the flop. On the turn, Filatov bet 10 million when checked to him and Kazaryan called. They checked through the river and Kazaryan dragged in the pot. Hand #236: Kazaryan limped from the button with the and Filatov raised to 30 million with , Kazaryan called and they headed to a flop. No action took place and Filatov bet the turn for 35 million, Kazaryan came along. The on the river was checked through once more and Filatov closed the gap. 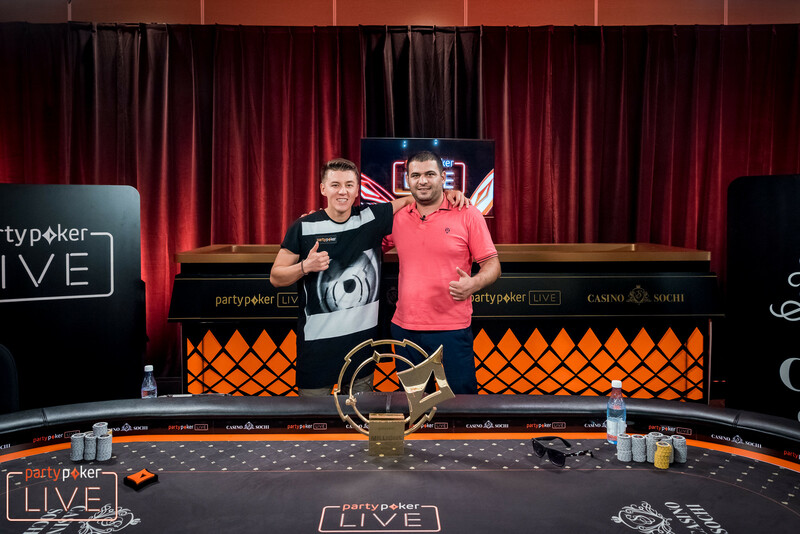 Who Will be Crowned Champion in the 2018 partypoker LIVE MILLIONS Russia Main Event?